Ch Supt Nelson Telfer believes the public have more confidence in the police. 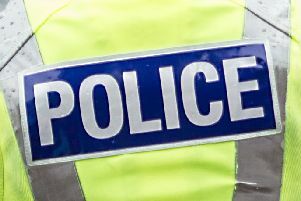 Reported rapes in Lanarkshire have increased by nearly 400 per cent in the first six months of the financial year according to police figures. According to the latest Police Scotland Management Information Statistics covering April 1-September 30 there were 64 rapes reported compared to 17 for the same period last year. In total sexual crime increased by 50 per cent to 398, but detections of sexual crimes also increased by 42 per cent to 308. In addition domestic abuse continues to be an area of concern with 3,583 incidents recorded – a jump of 65 on last year. Chief Superintendent Nelson Telfer, Divisional Commander of ‘Q’ Division, said: “Although there has been a marked increase in the number of rapes reported, this could be down to the fact that people have more confidence in the police to report incidents to us. “We have specific units set up with expertise to support and help victims of sexual crime and I would continue to encourage people to report any incidents to us. A total of 15,419 crimes were reported over the period, a decrease of 6.2 per cent. Fraud increased by 15.4 per cent, but otherwise significant reductions have been made across a number of areas including violent crime (16 per cent), housebreaking (17.5 per cent), drug crimes (11.4 per cent), carrying an offensive weapon(18.2 per cent), vandalism (3.6 per cent), shoplifting (5.1 per cent) and motor vehicle crime (18.4 per cent) . Road traffic offences have decreased by 44.5 per cent and road casualties dropped by 8.8 per cent with five fatalities compared to eight last year. ChSupt Telfer said: “Our priority is keeping people safe and with fewer people becoming victims of crime, we will continue to direct our efforts to areas of crime that cause the public most concern.